It has often been said that the children are our future. Albeit trite sounding this is in fact true; we can best safeguard our future by preparing the youngsters of today for the challenges they will face as adults. The problem is that no one seems to agree upon what the aforementioned preparation entails. Hence endless tests and statistics are employed to measure a student’s “progress”. I may not be getting any younger, but I sure as hell do not envy today’s children. Theirs is a brave new world I cannot begin to comprehend. 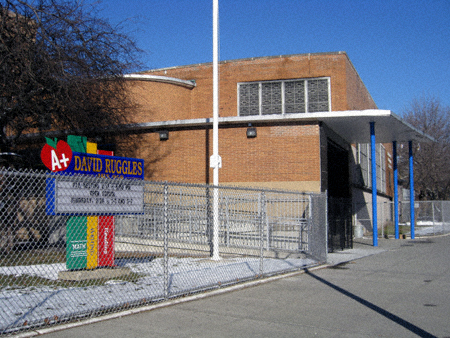 This David Ruggles Elementary School. Not unlike Iraq, this institution is comprised of numerous “zones”. 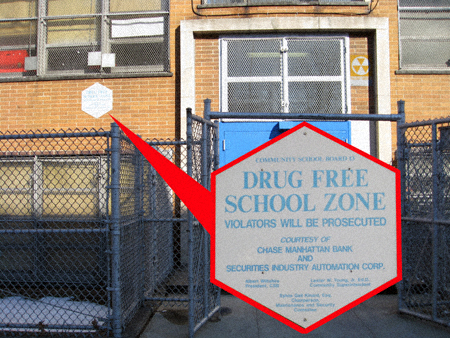 First off, you have the “drug free” zone. 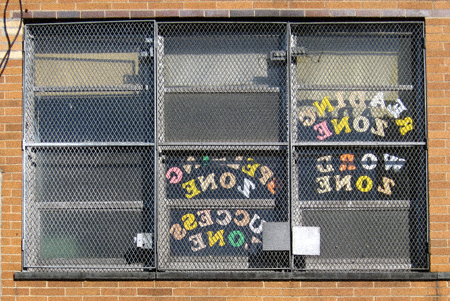 “Sheesh, that sure is a lot of zones” I thought to myself when I gazed upon the above window “but what about the arithmetic zone? 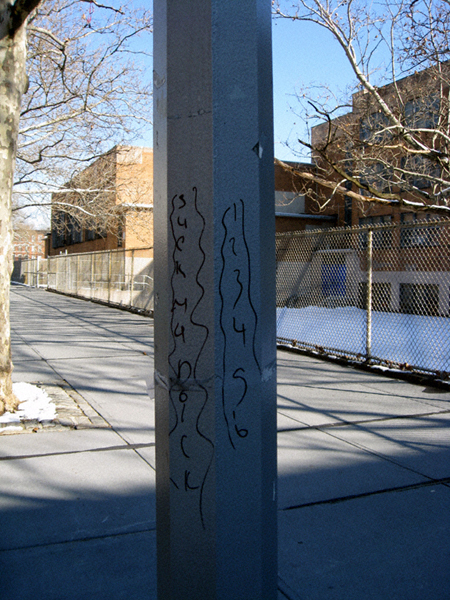 How can one possibly succeed in life without knowing his (or her) numbers?” Then I proceeded around the corner and learned everything was under control. You know what? Methinks this younger generation is going to turn out just fine. In fact, I can even tell you who wrote the above rhyming couplet: in 40 years we’ll be calling him Mr. President.